Teams have been travelling from around the world to the port city of Punta Arenas, Patagonia Chile. Judging from social media posts, the racers are nervously anticipating this race. The final team list shows ten teams racing. The Romanian team, Climbing the World, had to make the difficult decision to withdraw from the race at the last minute. Team captain Dr. Vasile Osean explained that he had been hospitalized for two weeks following a viral infection. Although he had recovered well, on September 30th his team mate Monica fell on a bike training session and fractured the radius bone of her left hand. Her hand was in a cast for four weeks. Vasile is a sports physician and in his professional opinion her injury would not withstand the extended effort of an expedition race. The team was understandably upset not to be racing, saying, “We have put a considerable physical, emotional and financial effort into the project.” Their goal is now to make the starting line of the next edition of the Patagonian Expedition Race. The remaining ten teams have now received the pre-race schedule. The opening ceremony will be held on Saturday November 17th, at 20:30 in the Teatro Municipal in Punta Arenas, followed by a social gathering. On Sunday November 18th, there will be two captains' meetings; this is one notable change from previous editions. At the first meeting at 08:30, held at the Hotel Rey Don Felipe, the team captains will be given the race profile and sections, but no geographical information. At 20:00 there will be a second meeting, with a second team member allowed, which will serve as the race briefing. Although the maps and race sections won’t be revealed until 24 hours prior to the race start, SleepMonsters has the race director’s permission to reveal a little bit of information on what lies ahead. The first section will be an extremely technical trekking section. 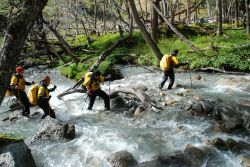 Trekking has always been the key to PER and the RD considers the other two disciplines, kayaking and mountain biking, to be merely transitions to the trekking sections. Teams can expect in total, over 200 kilometers of trekking. 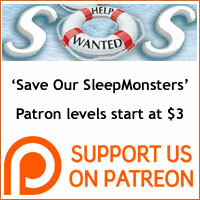 As well, SleepMonsters has seen the maps and the sight elicited a sharp intake of breath. It is safe to say, without revealing too much, that these racers are in for a technical, challenging race. But that’s what they signed up, why so many teams keep coming back and what has created the mystique of the Patagonian Expedition Race. They wouldn’t have it any other way.